Welbro Constructors of Maitland Florida began working with Rick Fender, Vice President of Fender Marine Construction some 20 years ago. 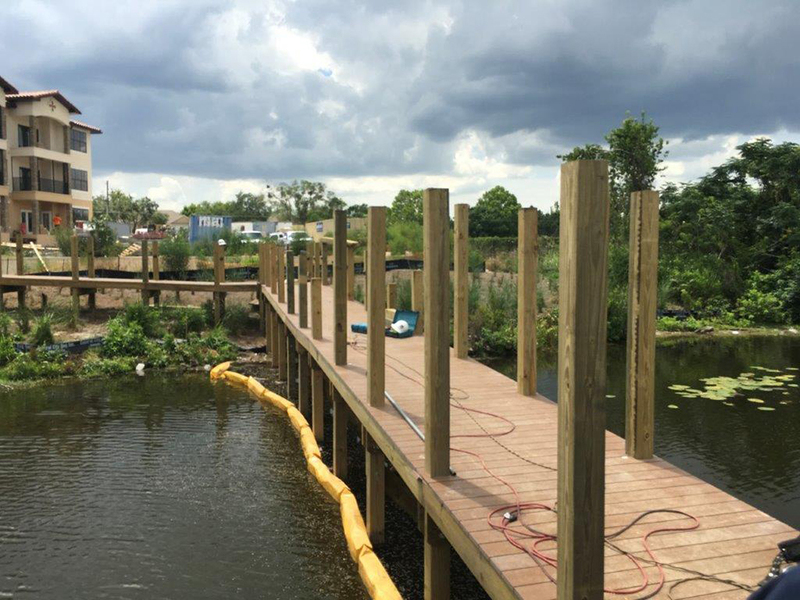 This time Fender Marine was contracted to design and construct this high quality pier with a open and covered activity deck in Casselberry Florida. 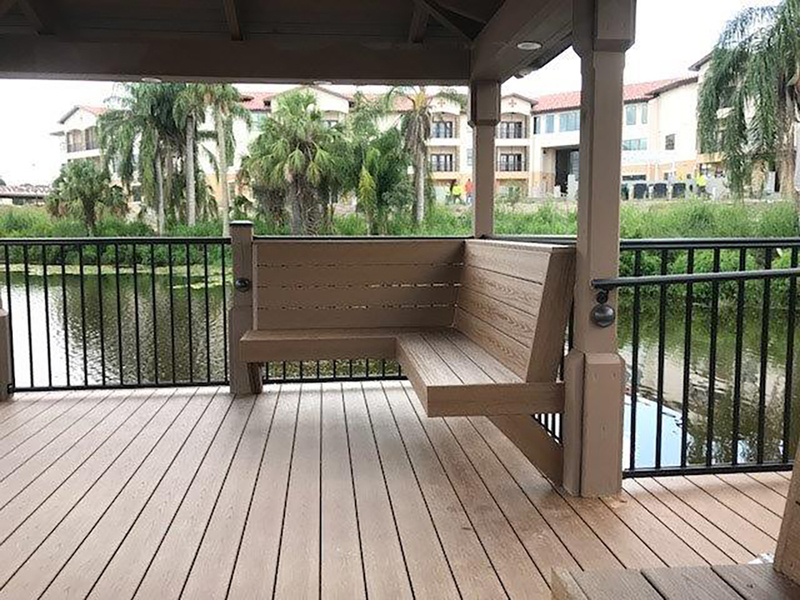 Allegro is an exclusive retirement community and the residents deserved the very best in quality workmanship, materials and safety. Fender Marine also installed a floating fountain. 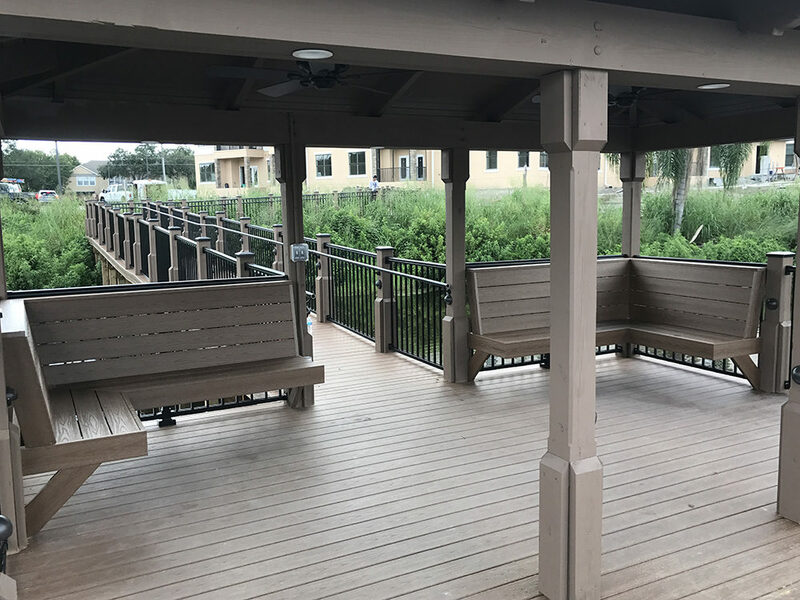 The pier and covered deck featured metal hand railing, ADA grab rail, Wear fiberglass reinforced HDPE decking and a tile roof. The project went so well, the superintendent for Welbro told Rick Fender that we were the best subcontractor on the project.